She trains Yusuke in the Spirit Light Wave Fist (Reikou Hadou Ken) aka the Spirit Wave in the English dub and coaches him to the extreme. Though she may appears nasty towards Yusuke and the others, she truly cares about all of them, and tries to lead them down the right road. Genkai is an elderly martial arts expert who lives alone in a very large temple. She first appears during Yusuke's second case as he infiltrates a tournament she is holding to find a successor to her techniques in search of the demon Rando. Genkai is a legendary reiki master, known both in the human and demon realms. Yusuke ends up winning the tournament, defeating Rando in the process, and is taken on as a student by Genkai. When she was 50 years younger, Genkai and the younger Toguro brother were lovers and teammates in an earlier Dark Tournament. After winning, Toguro decides to become a demon, while Genkai returns to the human world, creating a split in their relationship. She enters the next Dark Tournament with Yusuke, disguising herself as the "Masked Fighter" in order to once again face Toguro. Her signature technique is the Spirit Wave, an outpouring of spirit energy from the whole body which can be directed through several different variations. This makes her technique effective in healing and purification, in addition to combat. A side effect of using this power is a shifting of the body's cells which leads to a temporary reversion to the form in which the wielder was at their most powerful in life. 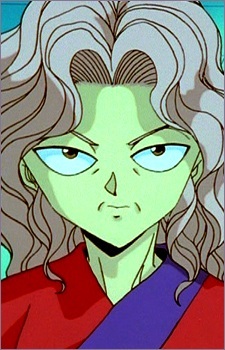 In Genkai's case, it allowed her to briefly regain her youth. Although Genkai is of advanced age and her physical and spiritual strength had gone down, she is still a fighter to be respected and feared. Even after she gave up most of her power to Yusuke, she still is capable of using some Reiki notably during the Chapter Black saga. She dies when she fights Toguro. For every strong disciple, there is a great master standing behind them. They instruct, guide and, ultimately, push their disciplies to their limits to achieve their next level of martial prowess. This time, lets step away from the students and focus on the great martial arts instructors in anime.